-Light and portable: This compact usb wall charger is designed to fit in your pocket, bag, or carry-on bag. Foldable plug make it easy to take on-the-go. -Fast charging: Dual-USB Allows you to charger two usb devices simultaneously at high speed. 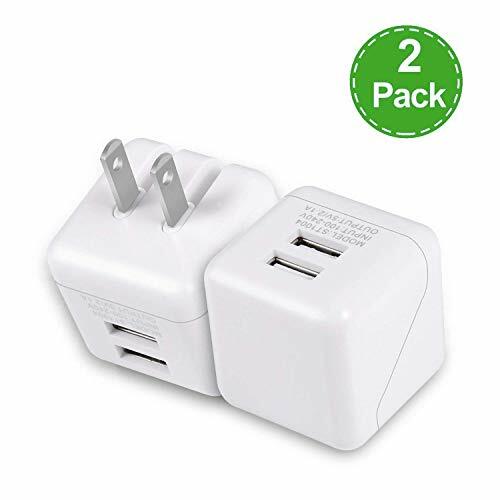 -Multi-usage: This usb wall charger works just as well as home as it does in the office or while travelling. -Safe and Reliable: Protect your devices against excessive current, overheating, and overcharging. -Using simple: Simply just plug it in, attach any existing USB charging cable, and its ready to go. If you have any questions about this product by walltronics, contact us by completing and submitting the form below. If you are looking for a specif part number, please include it with your message.